Endowment funds are governed in Nebraska by the Uniform Prudent Management of Institutional Funds Act (UPMIFA), Neb. Rev. Stat. §§ 58-610 et seq., and other applicable law. UPMIFA defines an endowment fund as “an institutional fund or part thereof that, under the terms of a gift instrument, is not wholly expendable by the institution on a current basis.” This usually means that either the donor has designated the fund as an endowment fund or that the donor has imposed limitations on spending from the fund. Under most circumstances, restrictions that an organization itself places on spending from a fund does not qualify as an endowment fund under UPMIFA, as those restrictions may usually be modified or eliminated by the organization as it sees fit. 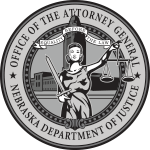 UPMIFA directs that endowment funds in Nebraska must be managed and invested in good faith and with the care that an ordinarily prudent person in a like position would exercise under similar circumstances. Therefore, when managing and investing an endowment fund several factors must be considered including general economic conditions, the possible effect of inflation or deflation, the expected tax consequences, if any, of investment decisions or strategies, the role that each investment or course of action plays within the overall investment portfolio of the fund, the expected total return from income and appreciation of investments, other resources of the institution, the needs of the institution and the fund to make distributions and to preserve capital, and an asset’s special relationship or value, if any, to the charitable purpose of the institution. Diversification of investment is required except in special circumstances. Should an organization wish to release or modify any restrictions on the management, investment, or purpose of an endowment fund, the organization generally must either obtain the consent of the donor, or apply to a court for modification or release. Neb. Rev. Stat. § 58-615 requires that the organization notify the Attorney General’s Office of any application for modification or release of restrictions on an endowment fund, and instructs the court to modify any restriction in accordance with the donor’s probable charitable intention. Please see the Uniform Prudent Management of Institutional Funds Act, Neb. Rev. Stat. § 58-610 et seq., and other applicable statutory and common law for specific requirements regarding the information above.